As promised, here's the mini of our trip to the PA Renaissance Faire last month. We're so lucky to be only about an hour away from it - it's one of the better ones out there, I think. We went last year and had a blast, so of course we went this year too. The "Mademoissele" stack from DCWV was SO perfect for the pics and the entire theme! 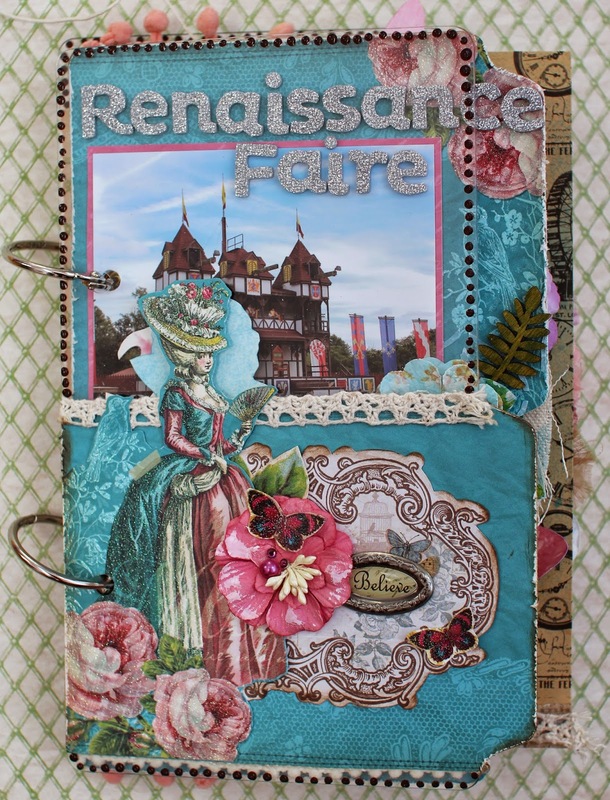 I also used a lot of mixed media to add to the fun, and a mini album from Punky Sprouts that had a lot of pages of all sorts of shapes, made of canvas, chipboard, and acrylic. Fun! Let the photo overload begin... remember, if you click on the pics, you will be able to see them much larger.